Point2 Homes gives you far more than a simple list of houses for sale. Get instant access to a lot of relevant information about Campbell River, BC real estate, including property descriptions, virtual tours, maps and photos. The search results pages also have a wealth of information on Campbell River, BC, if you scroll all the way down. There are 187 houses for sale in Campbell River, BC. 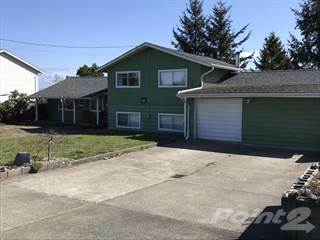 Searching homes for sale in Campbell River, BC has never been more convenient. With Point2 Homes, you can easily browse through Campbell River, BC single family homes for sale, townhomes, condos and commercial properties, and quickly get a general perspective of the real estate prices. Also, you’ll never miss a bargain if you filter listings based on house price drops in the past six months. Use the map view to find Campbell River, BC homes and apartments for sale, based on amenities or city features that you may want close by. You can close in on a specific neighbourhood or area by simply drawing around them with the polygon or radius tools. Stay informed about the latest entries on the real estate market by saving your searches. This way, you get new listings in your inbox, daily or every week, based on your preferences. If you’d like to get in touch with a professional, agents are displayed next to their listings, and they’re easy to contact through the online forms. 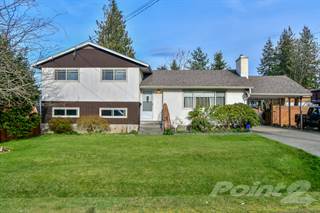 If you want more options, you can click the Tools tab and Find an Agent, and you’ll get a list of helpful and knowledgeable real estate agents in Campbell River, BC. Visit the Point2 Homes blog and you can find up to date expert advice on many markets throughout Canada, regular market reports, neighbourhood scoops in cities throughout the provinces, real estate deals and useful recommendations. Campbell River, British Columbia has a population of over 31,000 people and is located on the east coast of Vancouver Island, on the south end of what is known as Discovery Passage, a well-used shipping route. The city covers 143.12 square kilometers and is close to communities such as Quadra and the Discovery Islands, Sayward, and Oyster River. Campbell River has long been considered the “salmon capital of the world” due to the abundance of salmon in the nearby Campbell River. After Elk Falls Mill – one of the largest employers in the area – closed in 2009, Campbell River experienced a dip in the economy as younger people began to move to other communities to find work. However, with industries like aquaculture, clean energy development, forestry, mining, and tourism starting to flourish over the past several years, employment opportunities have increased and new businesses are beginning to emerge. Campbell River has an economic development corporation and a chamber of commerce, as well as a number of business and neighbourhood improvement associations. There is no shortage of outdoor activities in Campbell River. Parks within the city include Campbellton Park and Nunn’s Creek Park, and the very large Elk Falls Provincial Park is just outside of the city, offering a number of hiking trails and a campground. Recreational fishing is a big draw here, with a number of nearbyrivers to explore. The Museum at Campbell River offers exhibits on both pioneer and First Nations history in the area, and theatres such as the Tidemark Theatre and Gilda’s Box of Treasures Theatre provide entertainment in the form of productions and performances. There are also a number of art galleries and gift shops, where visitors can find local unique and handmade items. Campbellton and Downtown Campbell River offer more retail options (including big box stores), as well as several parks, and offer more entertainment options such as museums and restaurants. There are denser residential areas in these sections. Downtown Campbell River is also home to the marina and fishing pier. Quinsam Heights and Central Campbell River also offer many parks, as well as the Sequoia Springs Golf Club. There are a number of residential areas in this section, with many dining options, as well as accommodations like hotels and lodges. The Campbell River Hospital is located in Central Campbell River. North Campbell River is mostly residential, with a few dining options and stores. There are a number of car and recreation vehicle (boats, RVs) dealerships in the area, as well as fishing outfitters and lodges. The area is bordered by water to the west and Elk Falls Provincial Park to the southwest. Willow Point is Campbell River’s most southern section, and is located near the Campbell River airport. The Willow Creek Conservation Area is in this section, as well as the Storey Creek Golf Club to the south. This section is mostly residential, with fewer dining and retail options. The housing in North Campbell River is mostly large single-family homes on extensive rural-style lots, many with large garages. The homes are usually high-end and come with a matching price tag. Some of the homes are located near bodies of water (creeks, rivers), which offer additional appeal. Campbellton and Downtown Campbell River offer single-family homes that suit a range of budgets, as well as condos. The houses tend to be slightly smaller than those in North Campbell River, and not all single-family homes here include garages. There are also commercial properties available, particularly in Downtown Campbell River. There is a mix of vacant land, single-family homes, and condos available in Quinsam Heights and Central Campbell River. The single-family homes are either new builds or older homes that have been well maintained. 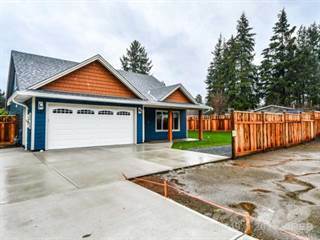 The newly built homes are higher in price and tend to be larger than the older homes in this section of Campbell River. Willow Point features many affordable single-family homes with good-sized yards. Houses range in size from starter homes to larger new builds. There are some commercial, condo, and vacant lot options, but this section of the city is mostly single-family home oriented. There are 11 elementary schools (K-5 or 6) in Campbell River that are operated by School District 72, as well as a private Christian school (K-12) and a French primary school. Campbell River also hasa few public middle schools (6-8) and high schools (8 or 9-12) that are also operated by School District 72. North Island College has a campus in Campbell River, which offers courses in everything from business to trades. Discovery Community College also has a location in Campbell River and provides training in health and dental care, accounting, and web development, as well as a variety of other fields. Students willing to make the just over an hour trip to Parksville can also attend Vancouver Island University and choose from a variety of programs.